At Ashwood Estate, we have embraced the romance of traditional wine making techniques. For instance, none of our vineyards are irrigated which allows us to reflect the characteristic of each season within the vintage. All of our Estate wines are fermented only in wood, no stainless steel! This provides a soft texture on the palate which is the hallmark characteristic of these wines. Because of our terroir, the traditional techniques used, and the skill of our winemakers, all of the wines we produce are unique to Ashwood and to the Gisborne region. Founder and owner of Ashwood Estate, Murray has had over 30 years experience growing grapes for both NZ and international markets. Ashwood Estate is his tribute to the premium wine that Gisborne can produce. The name 'Ashwood' comes from the iconic Ash tree that takes pride of place on the McPhail Estate. The Ashwood logo illustrates the cycles of summer growth and winter hibernation in this tree, an eternal cycle which also takes place in the vineyard. Murray's desire is for Ashwood wines to be a true reflection of each vintage, and their unique character. 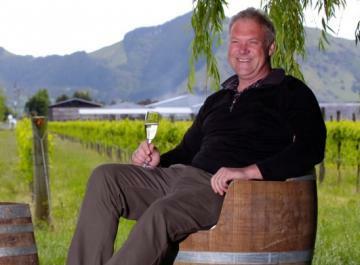 He is also passionate about Gisborne wine being recognised internationally, and will continue to produce wine that showcases the very best of the Gisborne terrior, whilst honouring traditional winemaking techniques. 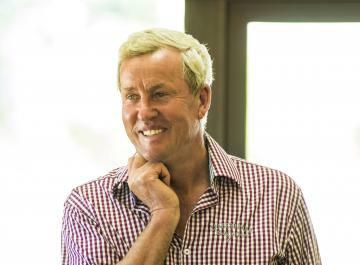 The Chardonnay variety is something of a signature for wine guru Steve Voysey, and for Gisborne as a region. Whilst Nick Nobilio launched the first vintages of Pinot Gris for Ashwood Estate, Steve developed Ashwood's first Chardonnay in 2010. This Chardonnay went on to win the Gold Medal and Best Chardonnay Trophy at the 2012 NZ International Wine Show - and awards have continued to flow for following vintages. Steve has now taken over full winemaking responsibilities for Ashwood. Famous for the development of the prestigious Montana “O” (Ormond Chardonnay) and “P” (Patutahi Gerwürztraminer) wines, Steve’s portfolio has blossomed over time to include single-vineyard varietal wines and a large range of sparkling wines. He also has his own label ‘Spade Oak’. Steve has served as a senior judge at dozens of shows throughout New Zealand and often plays the role of ‘Ambassador to Gisborne’ at the same time.